And this jump has not gone unnoticed by CDOT officials, who are intent on reducing traffic-related deaths and saving lives. This has sparked a statewide campaign aimed at promoting motorcycle safety for riders while enhancing other motorists’ awareness of riders. With spring just around the corner – and more motorcyclists hitting the road, this campaign may be crucial to bring the number of fatal motorcycle accidents in Colorado down in 2016 (and beyond). Across the U.S., motorcycle fatalities dropped about 6.4 percent to just over 4,700 in 2013 when compared to the numbers from 2012, when about 5,000 motorcycle-related fatalities occurred. 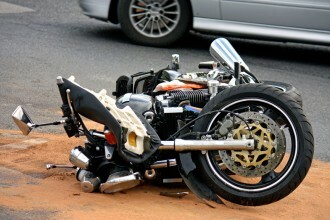 About 88,000 motorcyclists were injured in crashes in 2013, which is slightly less than in 2012 when 93,000 were injured. In 2013, motorcyclists accounted for roughly 14 percent of all motor vehicle fatalities. There were 87 motorcyclist fatalities, which was up from 79 deaths in 2012. About 19 percent of the motorcyclists killed did NOT have a motorcycle endorsement on their driver’s license. Approximately 40 percent of all fatal motorcycle accidents did NOT involve another vehicle, suggesting that rider negligence may have been a factor. Roughly 14 percent of motorcyclists killed were legally impaired (i.e., had a blood alcohol content of at least .08). Take a motorcycle training course. Avoid other motorists’ blind spots and stay as visible as possible. Don’t share a lane with another vehicle. Don’t ride in the shoulder. Never ride after consuming alcohol and/or drugs. Use turn and/or hand signals before changing lanes. If you have been injured in a motorcycle accident – or if you have lost a loved one in fatal motorcycle crash, it’s time to contact a trusted Littleton motorcycle accident lawyer at Bahr, Kreidle & Flicker. Since 1983, our attorneys have been fighting on behalf of injured people and working diligently to help them maximize their financial recoveries. To get more information about your potential case and rights, call us at (303) 794-7422 or email us using the contact form on this page.